Geographically my research has focused on Africa. Thematically, I have examined various socio-cultural processes that take place in the encounter of global and local regimes of value. In Kilimanjaro I investigated how women's trading activities and everyday gossip shaped the social order and cultural conceptions at the time of economic and political liberalization. This research was published as a book entitled Gossip, Markets, and Gender: How Dialogue Constructs Moral Value in Post-Socialist Kilimanjaro (University of Wisconsin Press, 2007). The book was awarded the Aidoo-Snyder book prize by the African Studies Association of the United States in 2009. In South Africa I investigated the formation of music industry structures and practices in the intersection of global and local ideas of ownership and authorship as well as diverse modes of organizing creative labor and rewards from it. This research was published as a monograph entitled Contracts, Patronage and Mediation: The Articulation of Global and Local in the South African Recording Industry (Palgrave Macmillan, 2015). Currently I am doing comparative research in Tanzania and South Africa on fashion and fashion designers. This research is funded by the Kone Foundation. I am also the PI in the ongoing project entitled "The Morality of Success among the Emerging Black Middle Class in South Africa" (2016-2020). This Academy of Finland-funded project investigates the concepts and practices related to success and prosperity among the emerging black middle class in South Africa. In addition to me, the project includes the post-doctoral researcher Ibrahim Abraham and the post-graduate student Bjørn Inge Sjødin. In 2013-2016, I was the PI in the research project called “Youth Music and the Construction of Social Subjectivities and Communities in Post-Apartheid South Africa”. This was a joint project based at the University of Helsinki’s discipline of Social and Cultural Anthropology and South Africa’s Human Sciences Research Council. The project was funded by the Academy of Finland and the National Research Foundation of South Africa. 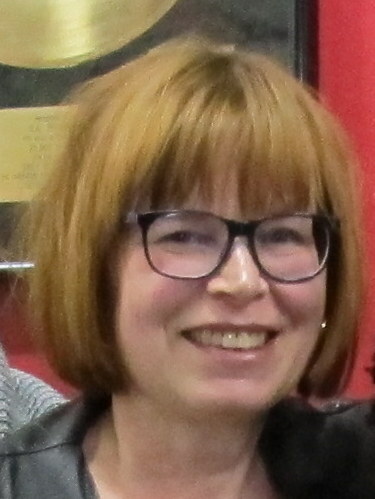 The included researchers, in addition to me, were Benita Moolman, Ibrahim Abraham and Tuomas Järvenpää. Pietilä, E. T., 19 Sep 2017, In : Journal of the Finnish Anthropological Society. 42, 2, p. 25-42 18 p.
Pietilä, E. T., 28 Jun 2017, In : The Conversation : Academic rigour, journalistic flair. Pietilä, E. T., 19 May 2016, Ruoan kulttuuri: antropologisia näkökulmia ruoan tutkimukseen. Uusihakala, K. & Eräsaari, M. (eds.). Helsinki: Suomalaisen Kirjallisuuden Seura, p. 41-53 13 p. (Suomalaisen Kirjallisuuden Seuran toimituksia; vol. 1419).